Apparently the answer is a lot more complicated than just "beast mode." Like many of you, I’ve never heard of Wish, a five-year-old commerce startup founded by a two ex-Googlers. Apparently, though, this newish Amazon competitor is absolutely killing it. They reportedly recently turned down a $10 billion all-cash offer from Amazon, which is mind boggling, and had sales in the “single-digit billions” only three years after launching. Wish sells cheap but stylish products. A $2,470 watch for $69, a $399 camera for $89, or $229 stilettos for $32. However, most of the products are under $25. Most of Wish’s vendors are sellers based in Asia so, unlike Amazon, Wish doesn’t spend lots of money on infrastructure or trying to get items to customers in a few days. Instead, each item arrives a week or two (sometimes more) after purchasing. Their layout looks a lot like Pinterest except everything is for sale. Since launching in 2011, they’ve raised $578 million. Maybe it’s just me, but I’m in awe of how Wish has built a $10 billion company in only five years, all while staying mostly anonymous. Last week, Wish’s founder and CEO Peter Szulczewski, gave a rare interview at StrictlyVC, an event for founders and VCs. This is only the second time I’ve heard about Szulczewski, and his story was too good not to cover. Here are the highlights from his talk, as reported by Techcrunch. 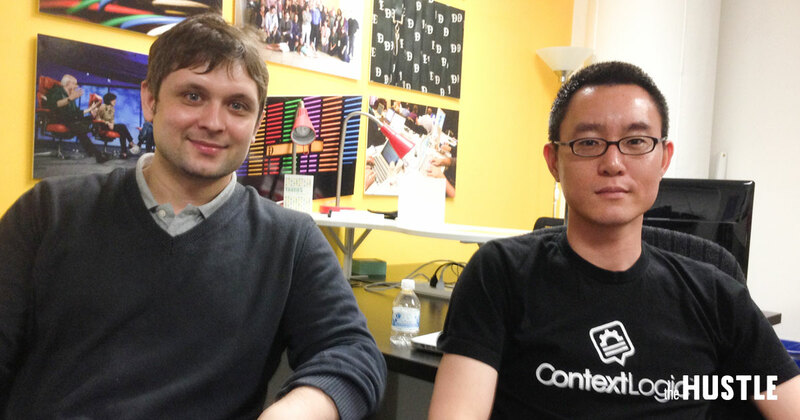 Szulczewski, a computer scientist by training, noted that he’d spent 6.5 years at Google solving “really big matching problems” before cofounding his company, ContextLogic, from which Wish evolved. The idea was to build a next-generation mobile ad network to compete with Google’s AdSense network, whose tech was “relatively stale” at the time, in 2011. Szulczewski and his co-founder, Danny Zhang, realized they were “pretty bad at business development,” though, so eventually they pivoted to Wish. Wish began as an app that asked people to create wish lists, then the company approached merchants and let them know a certain number of customers wanted, say, a certain type of table. Things took off from there, he said. “Last year, sales were single-digit billions. It took us just under three years or so to get there. We do charge a take rate of 15 percent. Part of the reason is we do a lot more than, say, Alibaba, which doesn’t charge a take rate. Jeff Bezos and Jack Ma reportedly offered to buy Wish for $10 billion in cash moneys. “We realized early on that unless you set out to build a really massive, self-sustainable business, you’re just not going to be able to do it. Basically, really big companies have these people in corp dev, god bless you [laughs], but there’s this asymmetry, which is like: the founders’ time is the most precious commodity that you have. You only have 24 hours a day. But there are corp dev people at these companies who have an infinite amount of time to spend with these founders, and it’s actually, I think – my point is: We want to build a self-sustainable business. But after you have two or three years of these merchants getting meaningful revenue and sales and it’s growing month over month, then you get their buy-in. Then it’s, ‘Okay, now you’re the third thing on my mind. Now you’re the second. Now, you’re the first or second. How can I get more sales?’. What do you think – ever heard of these guys? Seems pretty cool. Think I’ll give them a shot. Let me know what you think in the comments!